Abstract: This article examines the complex phenomena of the Farfan, a Christian knight serving a Muslim ruler during the religious wars of 13th century Iberia. 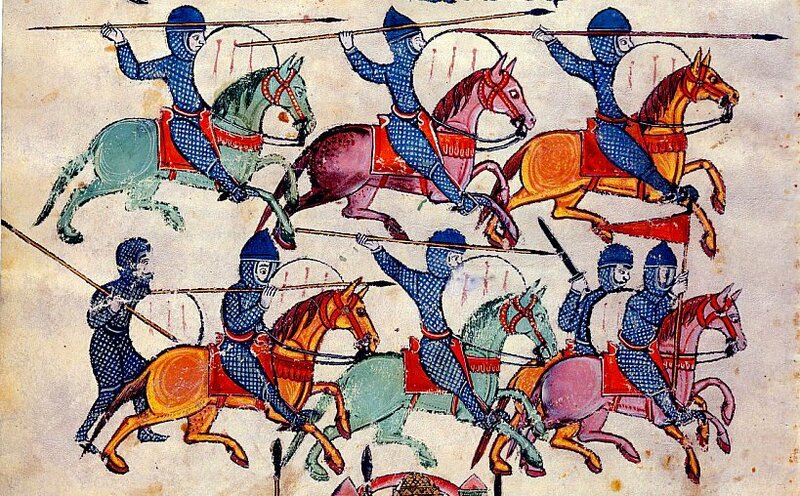 More specifically, it breaks down the development of Christian mercenary armies within the Almohad Caliphate of the late 12th, early 13th century as it relates to the Caliphates loss of political power in the region. Using primarily Islamic sources this article traces the history of the Caliphate followed by brief discussions on the religious nature of the Almohad movement, followed by the military structure of Maghrebi states of the period, with special focus on the distinction between a ‘slave-soldier’, and a mercenary. This article concludes that the massive increase in Christian military involvement in the Caliphates last years is a direct consequence of political and military failures over the course of Almohad rule in Iberia and the Maghreb. Introduction: In 1173, Moroccan officials captured, tried, and executed the Portuguese knight Geraldo Geraldes. A warrior of the Reconquista, Geraldo had a litany of conquered cities to his name, from Badajoz and Evora in the north to raids on Beja deep in the Islamic Algarve. “The dog [Gerald]…. [who]entered the city and fought whom they found and robbed them and captured them”, sneered one Muslim chronicler. At the head of a small private army, he carved out a sizable personal fiefdom in western Iberia, large enough to lead to a small war between Leon and Castile over who should claim it. His nickname matched his career: Sem Pavor¸“without fear”. Yet he would die a servant of not a Christian king, but a Muslim one—Ya‘qūb Yūsuf of the Almohad Dynasty (1121 to 1269 CE).